1) Congress, National Conference end alliance in J&K: The Congress and the National Conference have decided to part ways in Jammu and Kashmir and contest separately the Assembly election due later this year. The coalition government in the State will, however, complete its full term. The Congress made the decision a day after party leader Ghulam Nabi Azad, Pradesh Congress Committee chief Saifuddin Soz and general secretary in charge of the State Ambika Soni attended a party convention in Jammu. “After extensive talks with Congress leaders and workers, the party has come to the conclusion that we are going to fight the election on our own strength,” Ms. Soni said. 2) Rory McIlroy clinches 2014 British Open Golf Championship: Rory McIlroy clinched his first Open Championship and third major title with a two-shot victory over Sergio Garcia and Rickie Fowler on a thrilling final day at Hoylake. The Northern Irishman joined Tiger Woods and Jack Nicklaus as the only players to win three of golf's modern majors by the age of 25. McIlroy, 25, now just has the Masters left to complete a career Grand Slam. 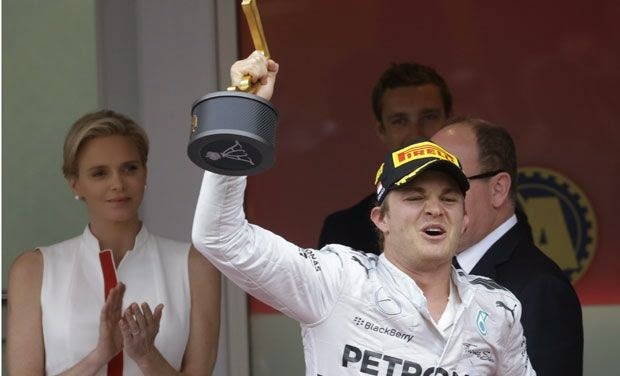 3) Nico Rosberg wins F1's German Grand Prix: Mercedes' Nico Rosberg coasted to his first home German Grand Prix win at Hockenheim on Sunday to extend his lead over teammate Lewis Hamilton in the Formula One championship. The pole sitter, cheered on by Germany World Cup winner Lukas Podolski in the Mercedes pits, extended his lead to 14 points over teammate Lewis Hamilton, who charged up to finish third from 20th on the grid. 4) T V Gopalakrishnan gets Sangita Kalanidhi award: Eminent Carnatic musician and acclaimed mridangam exponent T V Gopalakrishnan has been chosen for the Sangita Kalanidhi award of the Music Academy for 2014. N Murali, president of Music Academy, said all the members in the awards committee were unanimous in their decision to felicitate the veteran. "We had quite a few names in our list, but Gopalakrishnan was clearly at the top of the list. He is multi-faceted. He is a singer and is adept at playing various instruments," he said. 5) Sanjeev Kumar Singla appointed Private Secretary to PM Narendra Modi: IFS officer Sanjeev Kumar Singla has been appointed as Private Secretary to Prime Minister Narendra Modi, succeeding Vikram Misri, who is going to Spain as Ambassador. Singla, a 1997 batch officer, is returning home to serve in the PMO, after a posting in Indian Embassy in Israel's Tel Aviv. 6) Canara Bank signs Rs. 1,170-cr loan pact for Kochi Metro: Canara Bank signed an agreement with the Kochi Metro Rail Ltd on Sunday for a loan of Rs. 1,170 crore to the Rs. 5,200-crore Kochi Metro project. This is the largest loan offered by Canara Bank, which is Kerala’s lead bank, to a single entity in the State. RK Dubey, CMD of Canara Bank, who signed the agreement with KMRL Managing Director Elias George, said the bank was willing to support the project further.